Have you been searching for answers as to how affiliate marketing works and wondering what this is and better yet whether it’s just another scam? 2018 marks the 22st anniversary of affiliate marketing and over the years millions of people have leveraged this business model to earn a full time living from home doing something they love. Over the years this business model has evolved from a simple tool to help marketers expand their reach online, to a completely separate business model where you can build your brand, establish a presence, and create a name for yourself in the online world. If you run any kind of business in the online world and you don’t have some type of affiliate program established then you are seriously missing the mark and losing out on tons of opportunities to expand your reach and grow your business. In the following post, I’ll be briefing you on what affiliate marketing is and where it’s headed in 2018 & beyond. I’ll also be giving you some insights on how much this billion dollar industry is anticipated to grow by the year 2019. Along with 5 things you need to know in order to be successful with affiliate marketing in 2018 and beyond. If you have heard this term being thrown around lately but you’re not exactly sure what it was all about, I encourage you to continue reading as I’ll be going over all of this and much more. 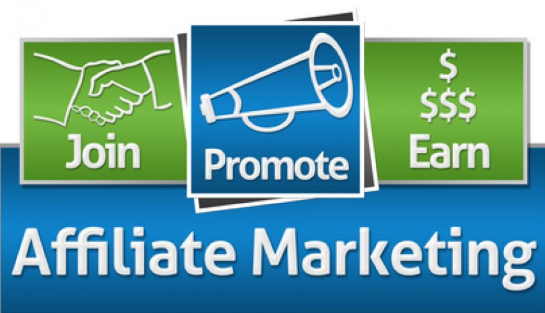 Affiliate marketing is the process of promoting other people’s products in exchange for an affiliate commission. This is all made possible by something called an affiliate program. Once you join and are approved by the merchant you’ll be given something called an affiliate link. This is how the merchant keeps track of your clicks and how many sales you get. To put this in simple terms so that everyone understands what I’m talking about you basically have 2 things. Your job is to connect these 2 things by recommending products or services within your respectful niche (Topic of interest) that you feel would help fill the void or offer a solution to what these people are searching for. Think of yourself as the middleman between the merchant and the customer. There are currently over 100,000 affiliate programs that you can join and earn anywhere from 4%- 75% commission for each person you send to a merchant’s website that makes a qualified purchase using your affiliate link. Over the past 4 years, I have been able to earn a full time living plus some utilizing this business model and there are currently millions of other people across the globe who are earning a phenomenal income online from this as well. Over the years this business model as immensely evolved and this will continue to evolve as time moves on. What may have worked 5 years ago may not work in 2018!! What has changed in 2018 and what should you be aware of if you’re a newbie who is just getting started? To be honest with you, not a whole lot, but it’s important that you keep these 5 things in mind when you are first getting started in 2018 if you want to achieve any kind of success in this industry. It’s estimated that by the year 2019, this business model will be worth nearly 6 BILLION DOLLARS. Say that number with me again 6 Billion Dollars!!! When I take a look back when I first started back in 2012-2013, it’s hard to believe how much I have been able to grow my business as a result of this business model. Do you guys know the very first affiliate program that started it all back in 1996? If you guessed Amazon then you would be correct!! Due to their massive growth over the past 22 years, they are known as the go-to place when you’re looking for just about anything. It doesn’t matter if you’re looking for a rare strategy guide for a video game or a way to fix your washer or dryer, you’ll likely find it at Amazon. With more and more companies moving into the online space this number will only continue to grow and the potential here literally blows my mind!!! Did you know that there are currently over 500 million products that you can promote and earn a commission from within the online space? That’s NOT a typo and Yes you did read that number correctly!! Not to mention the hundreds of thousands of online services that you can also promote to earn even more as an affiliate. If it’s available to purchase online, then chances are that you can promote it and earn affiliate commissions as a result. Think back with me if you will to the mid 90’s when the internet was still new and not many of us knew what it was. How hesitant were you to put your credit card details out there and buy something that you have never physically touched and all you had to go on was a picture of the product? Trust me, I know how you must feel as I felt the same way. I always worried that they would take my money and never ship out my order. Fast forward to 2018 and this is the primary way that I do most of my shopping. Being in the online industry for 4 years now I would rather support online businesses and help someone who may just be starting out and help them possibly earn their first commission than giving it to a huge corporation. I know I’ve said this several times but did you guys know there are currently 3.5 Billion people online every day who are spending money and looking for information on a particular topic? This number is up by nearly 1 billion from last year at this time and as technology continues to evolve this number will be constantly on the rise. What process do you usually follow before you make a purchase online? Do you find yourself searching for product reviews and interested in getting other people’s opinion before making a sound decision as to whether the product you are looking to purchase would fit your needs and make a good fit for you before deciding to make a purchase? Chances are that you landed on an affiliate’s website that is promoting the very same product that you’re interested in purchasing. It doesn’t matter if you’re looking to score some of the best Black Friday deals or you are in the market to purchase the latest 3D TV’s on the market today. Someone is likely earning a commission from you!! 1 of the main ways that companies like Amazon have been able to expand their reach and grow their revenue so much is because of their affiliates. It just makes sense when you think about it!! If you owned a company similar to Amazon would you rather spend hundreds of thousands of dollars hiring a marketing team, an ad executive, and spend millions of dollars a year on advertising? Would you rather have other people out there selling your products for you and giving them a cut of each sale that they make? Hiring a marketing executive might seem like the more logical thing to do, but keep in mind that they NEVER guaranteed you any results. This can also get quite expensive and eat up your marketing budget pretty quickly if you’re not careful. In order to get paid as an affiliate marketer, you’ll be required to achieve results FIRST and this is what makes this business model so brilliant. It costs the company $0 and comes with ZERO risks so what do they have to lose? Affiliate marketers are the life blood of any thriving successful business in the online world!! As you can see from the 5 things that I’ve mentioned above this business model has no plans of dying off anytime soon and as we continue moving forward to potential here will continue to grow. Learning how to market products and services successfully can become quite the challenge and extremely overwhelming especially when you’re first getting started. When I first started out here I had absolutely no idea what I was doing and I found myself going around in circles and getting nowhere for quite some time. In order to successfully master everything, you’ll need to know and learn everything required to fire your boss and earn any kind of life changing income, you’ll need to have the proper training and the highest quality tools in the industry to do so. You’ll also need to have the right support channels to guide you along and lead you in the right direction. The place that has shown me how to make sense of all of this and has taught me how to build a successful business doing something I love is Wealthy Affiliate. If you have ever shown any kind of interest in working from the comfort of your home and learning how to get paid selling other people’s products I would highly recommend that you check them out for yourself and see what they can do for you. It’s FREE to get started and your starter membership comes with everything you need to get your first website up and running. You’ll also have me there to guide you every step of the way and help you avoid some of the most common mistakes that most people make when they first start out. I really hope this post has helped you guys out and has given you some much-needed information to be successful in 2017 and beyond. If you have any additional questions or if there is anything you would like to add to this please leave it for me in the comments section below. I would love to answer these questions and hear from you guys!! Hello Scott, I sure hope you are a Christian man this assumption is the reason I was attracted to your site (HONEST WAYS). I have nothing but time on my hands to start a new career and enjoy learning, studying and applying new applications working on my computer. I have heard about affiliate marketing for years but after a drop shipping adventure that broke even after a few years competing with large retailers, I lost interest in online sales and marketing. However after some research, I have decided to take your advice and put my focus into affiliate marketing utilizing the tools that you recommend, now I realize that it is going to take some time to educate myself and get rolling, so thank’s for your advice looking forward to some positive results in the future. Scott Turner. It’s great to hear from you man and I hope all is well with you. Yes, I am a christian man and do go to church on a regular basis and only promote honest ways to make money from home. If you have a great deal of time on your hands and you aren’t afraid to invest your time and put in lots of hard work then you could very well have a promising career in the affiliate marketing industry, my friend. Affiliate marketing and drop shipping are 2 completely different business models that are not related to each other in any way, shape, or form. It’s great to hear that you have decided to take me up on my offer and look into affiliate marketing and utilizing the tools that I recommended in this post. To get rolling and start your training I would highly recommend that you get started by creating your free starter membership with Wealthy Affiliate by clicking the button above. Yes, it will take quite some time to educate yourself as to how everything works and how you can create a solid career in this amazing business model. Also, you won’t be alone as I’ll be there to help you out, answer any questions you may have, and get you pointed in the right direction. It was a pleasure hearing from you and pretty awesome that we both share the same name (Scott) and I want to thank you for dropping by and commenting on this post. I really am looking forward to working with you Scott and helping you out in any way I possibly can. Very helpful article ! Thanks for sharing. I feel I’ve been drowning and going around in circles for months trying to get started in affiliate marketing. There’s just so many experts out there, you just don’t know which to follow so you end up going round and round! I am at the point where I have decided to focus on a niche site within Electronics my site is up (with just a few how-to and info articles and I’m planning to add reviews and more help /guide articles). My worry is that I might have picked a saturated niche and won’t be able to compete with established sites. What would you suggest as a way (or ways) to 1) gain traffic and 2) build authority in my niche? Any help is appreciated. I’m just scared to spend hours writing articles and then nothing….I’ve already had an email from Amazon ending my associate program access as I’ve had no sales. So I hope to turn this around. You are most welcome Chris and I’m glad this article has helped you out and provided you with the answers you were looking for. Affiliate marketing can seem extremely overwhelming especially when you’re first getting started online. I can totally relate to how you must feel about now as I felt this same way when I first started out almost 5 years ago. It took me close to a year for me to wrap my head around everything that was expected of me in order for me to earn a full-time income online. There are many experts in the online industry that are 6,7, & even 8 figure earners but you need to be careful of who you listen too. It’s funny now that you mention it, but electronics is the same niche that I decided to go with when I started back in 2012. It sounds like you are making the same mistake that I did and would hate to see you do this. In order for you to have any success in the electronics niche, you would need to narrow this down to a specific sector and focus on that. Once you have built your site out and covered mostly everything in your target market you can branch out and broaden your site. Start narrow & branch out! Here recently I launched a gaming headset site that was super targeted towards gamers and finding the right headset that fits into their budget and will give them the most bang for their buck. If you target your niche down and are a little more specific as to what type of electronics you want to focus on, you’ll have much more success with this niche. This niche is in no way saturated and if you approach this the right way you’ll be able to learn how to outrank your competitors and come out on top. However, before any of this is even possible you need to have some kind of direction on how to achieve this. If you’re looking for a way to increase your traffic and learn how to build authority in your niche, then I think you should look into a program called MLSP. It doesn’t matter what your skill level is or how much you think you know, MLSP is suitable for anyone. In just a few short months, I was able to find out what I was doing wrong and turn things around. I know how it can be to put all of your time into an article without seeing the direct benefits of it right away. This can be extremely frustrated and I struggled with this quite a bit when I first started out as well. Personally, I put in around 12-14 hours a day for almost 4 months straight before I made my first sale, but trust me it was well worth every second. Amazon has that 180-day rule that you need to make a sale within that time frame or they disable your account. If you can get at least one sale within that time you’re good to go. I’m sorry to hear that they are ending your access but you can always reapply again at a later time. I really hope this helps Chris and please let me know if you have any other questions. Thanks for a really informative and extremely helpful article Scott!! This really does give me a much better understanding of what affiliate marketing is and how everything works. I always had a basic idea of what this was but I was never exactly sure. Your article has helped clear up all of this for me and for that, I thank you, sir. You are very welcome Jarmo and I’m glad this has helped clear things up for you. Affiliate marketing is one of the most brilliant business models out there and a highly lucrative one at that. Like anything worthwhile in life, it’s going to take a great deal of time and effort to make it work for you and this is the main reason why so many people fail to make it work for them. Anyways, it was nice of you to stop by and let me know how much you’ve enjoyed this article. I found this article to be very informative and I have learned so much about affiliate marketing thanks to you. Thank you so much for sharing this information with me and everyone else here. You are most welcome man!! I’m glad that you were able to gain lots of valuable information from reading this article. Thank you for stopping by and letting me know how much this has helped you.